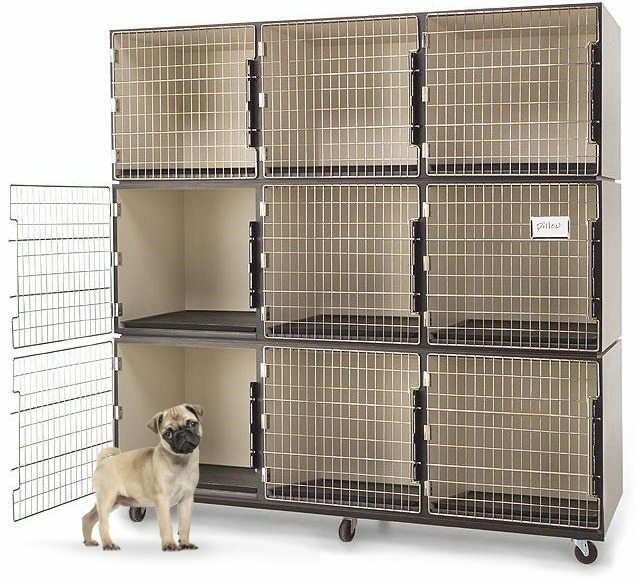 Designed specifically with the animal handler in mind, PetLift laminated wood cages offer quick and easy access, custom arrangements and long-lasting durability. PetLift laminated wood cage quality is second-to-none, built using moisture-resistant plywood covered with high-pressure laminate inside and out. 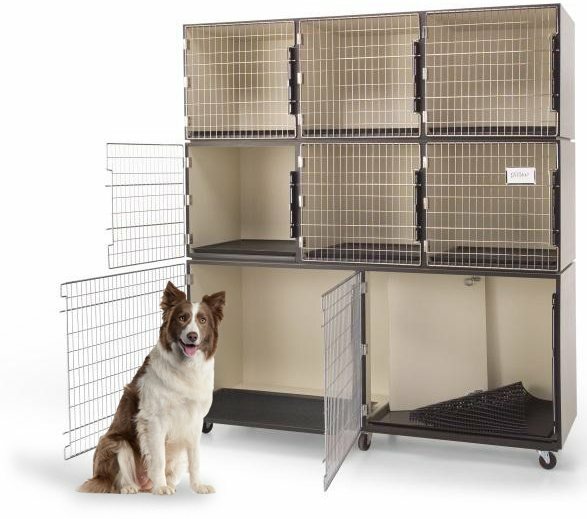 Double walls between cages lend added stability with stainless steel hardware and heavy-duty welded hinges for superior strength. 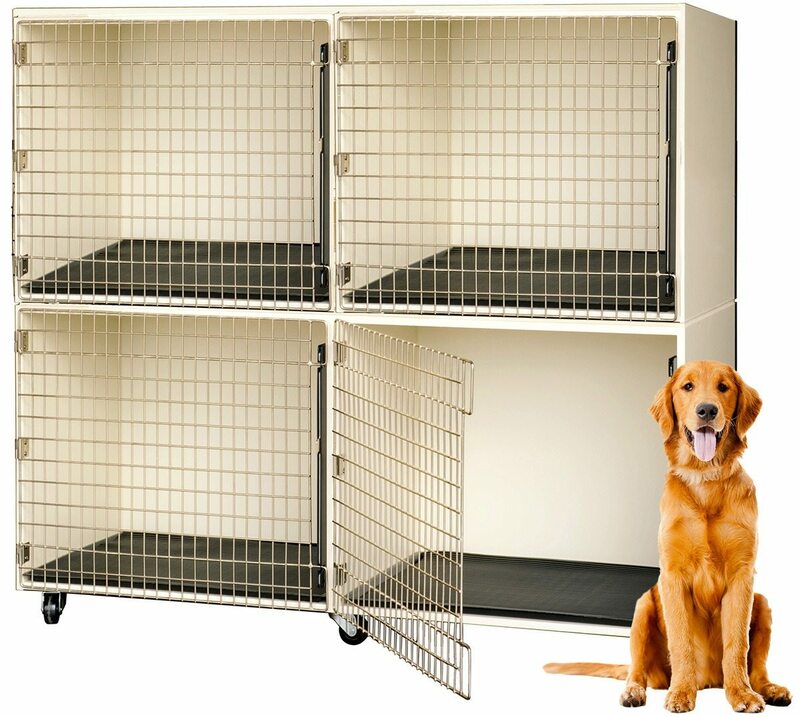 All cages are furnished with a mobile platform and heavy-duty 4 inch casters. Laminated wood animal cages are available in a variety of arrangements and sizes. 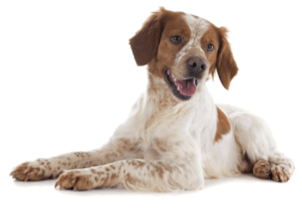 The standard color is Almond, but we also offer designer colors to personalize the style of your animal care environment. 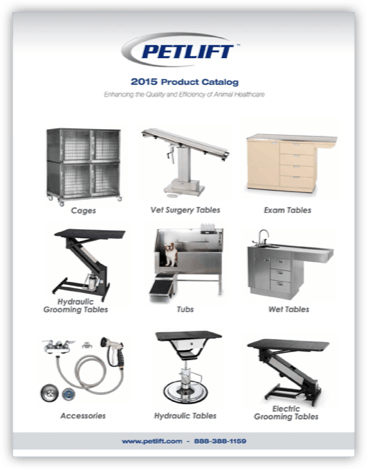 PetLift cage designs are developed in collaboration with groomers, veterinarians and other animal care specialists. 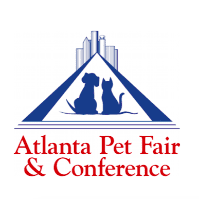 Our products are award-winning and industry-recognized for their exceptional quality, safety and durability along with the enhanced performance they provide for animals and the people who care for them.